Lovely Bloodstone palmstones, measuring between 30-50MM approximately. Small Bloodstone Palmstones, measuring between 30-50MM approximately. Because these pieces are cut from natural pieces of Bloodstone, the shapes, sizes and thicknesses can vary quite a bit. 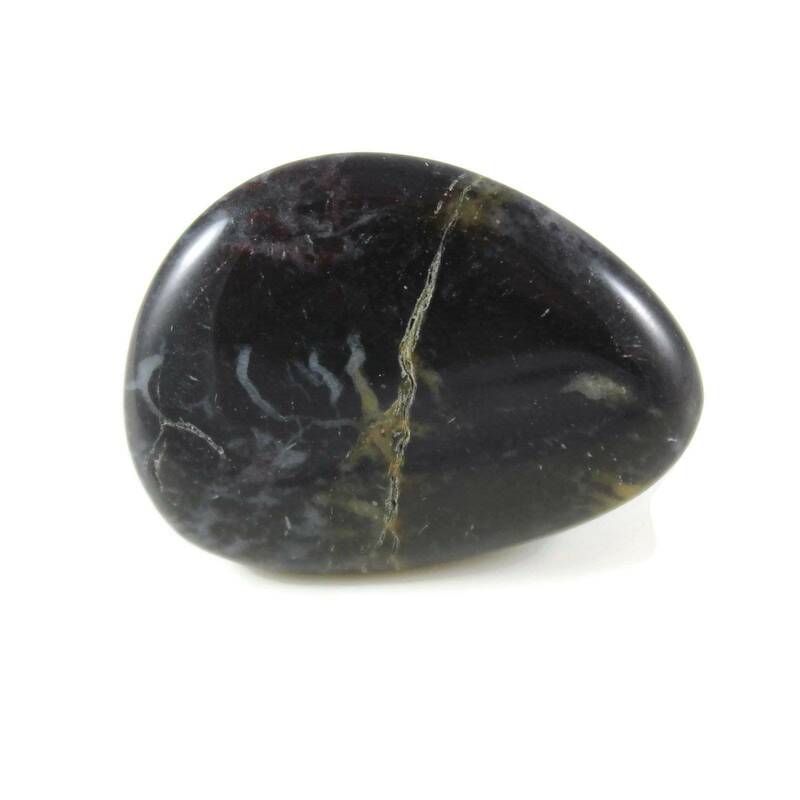 As you can see from the photographs, these palmstones are not a particularly good grade of Bloodstone. There are few red spots, and not even a large amount of green. 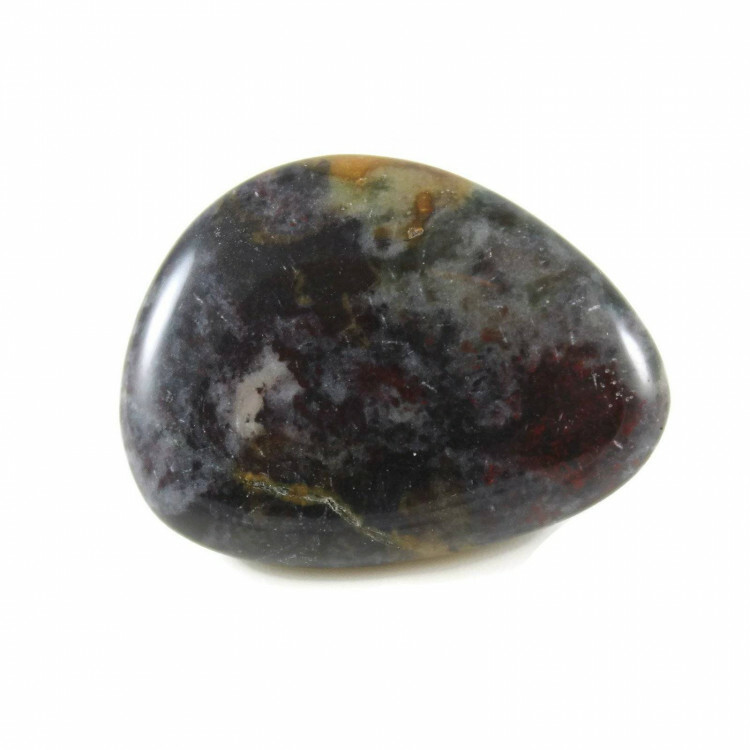 Bloodstone is meant to be red dots on green matrix; however, these stones tend to be green, grey, white, and black. 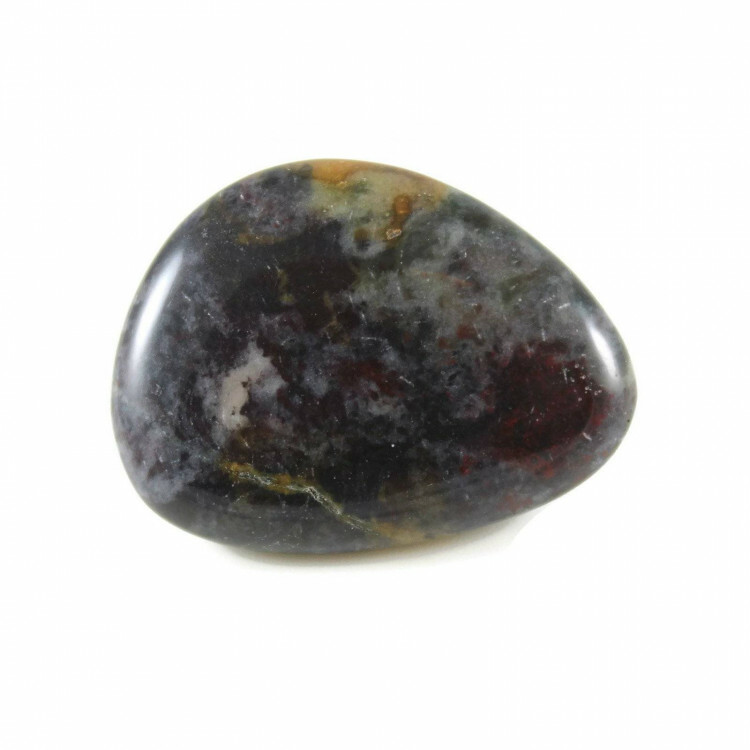 For more information about Bloodstone and a full list of all of our related products, please see our main ‘Bloodstone’ section.